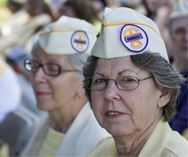 The Gold Star Wives of America Inc. (GSW) Code of Ethical Behavior is to facilitate public responsibility in a manner that reflects honesty and fairness without impartiality in all activities throughout our survivor community that would affect our working relationships with the military, Congress, State, and City as well as all corporate entities. This Code of Ethical Behavior Policy is designed to define and implement standardized guidelines applicable to personal and professional accountability from all members who bear the responsibility and influence decisions made throughout our organization and community. Institutional accountability requires the maintenance of interpersonal relationships within the organization to ensure a supportive environment to widows, widowers, and surviving children. GSW should seek to merit the confidence and respect of the survivor community and extend consideration and respect for the social and religious practices and customs of survivors to the maximum extent possible. GSW should cooperate with the survivor community emphasizing fairness, honesty, and impartiality in all professional activities and relationships. Effective organizational structure and function demands the highest standards of ethical performance. All members shall remain vigilant for unethical behavior and report instances to the appropriate officer. This GSW policy is to maintain the highest level of professional and ethical standard in the conduct of volunteer members within the organization. GSW places a high level of importance on its reputation and demands integrity and honesty from all members. Individuals as responsible members have a duty to exercise their best in administrative judgment and skill for the benefit of GSW. Members should maintain a standard of personal conduct directed solely toward promoting GSW and its programs throughout the nation. Members should observe at all times the existing local, state, and federal laws as a minimum guide for the fulfillment of responsibilities assigned by their national, regional, or local chapter. Practice fidelity and duty of loyalty in the best interests of GSW. Conduct all dealings on behalf of GSW in a manner that is ethical and honest. Not make use of inside information for personal benefit or that which may be detrimental to GSW or the survivor community served. Ensure the maintenance of this Code of Ethical Behavior by conducting oneself in an honest and ethical spirit. Conduct all dealings with other members in a manner that is ethical and honest. Assistance to leadership and their organizations by supporting activities and services they provide to improve the health and well-being of GSW. To access these resources, view the Ethics Resources folder in the GSW Member File Library.